Inspiration can be found everywhere, even in cultural elements. Today, we have cards to share with you today featuring Latin Motifs stamps and dies. These cards are so colorful and cheery! This is a set which may be under the radar in my opinion and it pairs beautifully with other sets with a south of the border vibe. Thanks for showcasing these today and now I’m going to crate some rainbows of my own! 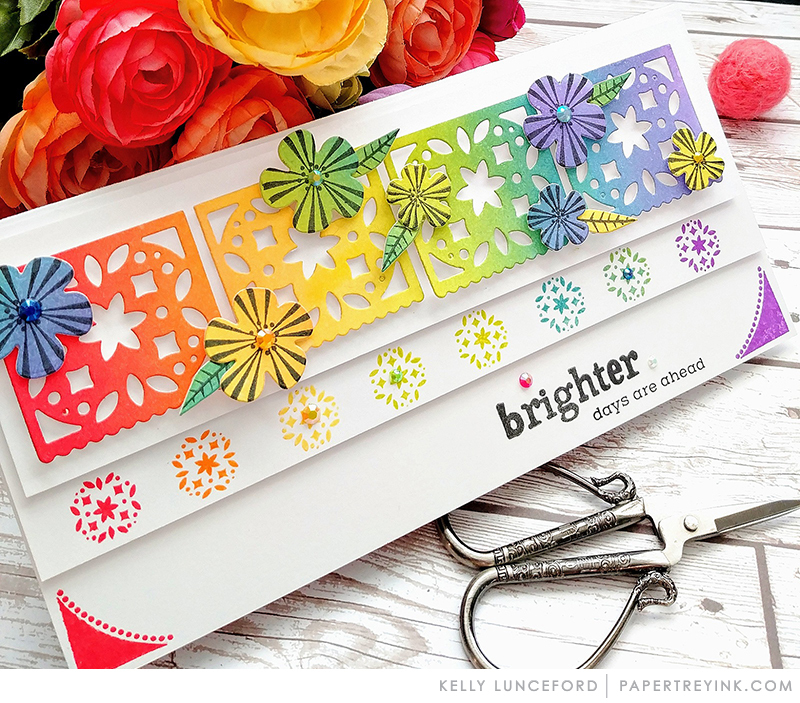 Love these cards…..so bright & cheery! Side note after watching Ashley’s video…..love the hair, so cute!! 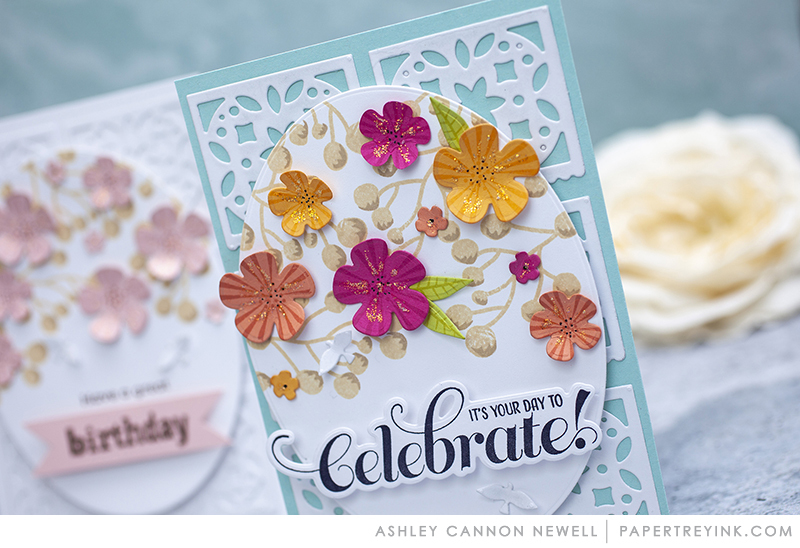 Ashley, both of these cards are so lovely…perfect for Spring. Thanks for sharing them and the video tutorial (along with the additional card) showing the versatility of this stamp/die set. It’s going on my wish list for sure. Gah! I have this set but I’ve never used it. After seeing these beautiful cards that needs to change immediately…Thanks Ashley and Kelly!